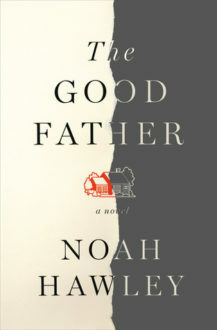 The Good Father by Noah Hawley is the haunting tale of Dr. Paul Allen, a remarried father of young twins, who is struggling to come to grips with a single horrific act perpetrated by, Daniel, his son from his first marriage. 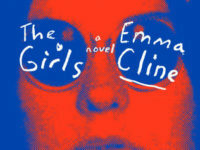 After dropping out of college for a soul-searching life on the road, Daniel assumed a new identity and is arrested for assassinating a popular presidential candidate. Mostly narrated by Dr. Allen, there are parts that switch to Daniel’s point-of-view, giving the reader the full 3-D experience. Reading this book was a bit of a harrowing experience. What propels the book forward is Dr. Allen’s quest to understand his son’s actions. He is desperate to prove his son’s innocence while also trying to come to terms with what he has done. Was it the divorce that changed his sweet boy into a killer? Was it the cross-country flights between parents? Was it because he had remarried and started a new family? Did he pay his son enough attention? These are the questions Dr. Allen asks himself as the rest of the world vilifies his son. What is difficult about this book is that it personifies the killer. In light of recent events in Aurora, CO; Newtown, CT; and California, this is a difficult pill to swallow and I know that a of of people will likely put off reading The Good Father because of it. But it is a very good book and it should be read because it’s main focus is the father. We oftentimes forget that violence affects the families of the guilty, and this is one of those rare books that delves into that unexplored side of tragedy. Side note: I don’t know if this is publishing issue or not, but the years were all listed as 20__ even though there was a reference to what year the book took place. It wasn’t detrimental to the story, but it bugged me!